SACRAMENTO — UC Davis plant sciences professor Kentaro Inoue, 47, was killed in a bicycle crash Aug. 31 on West Capitol Avenue in Sacramento. Police said Inoue and a waste management truck were both going west — Inoue, with a helmet on, riding in the bike lane — when the truck turned into Inoue’s path, and the bike and truck collided. Sgt. Roger Kinney said Inoue was dead when officers arrived at 7:50 a.m. He said the collision appears to have been an accident, though the investigation continues and the report will be forwarded to the District Attorney’s Office. Kinney said the truck driver cooperated with police, and there was no indication the driver was impaired by alcohol or drugs. Inoue is survived by his wife, Amy Brown, who completed undergraduate work in physiology at UC Davis and went on to receive a UC Davis doctorate of veterinary medicine in 2003. She is a veterinarian in Roseville. Inoue’s friend Takao Kasuga, a U.S. Department of Agriculture researcher in molecular genetics in the Department of Plant Pathology, said Inoue and Brown were married in February. “He moved (from Davis) to her house in Sacramento and commuted to Davis by bike since then,” Kasuga said. He was a native of Japan, where he received bachelor’s, master’s and doctoral degrees, all in pharmaceutical sciences, all at the University of Tokyo. The article, “Beakers and Bikes,” appeared in the Samuel Roberts Noble Foundation’s Legacy magazine. Inoue spent two years as a postdoc at the Noble Foundation, having been guided there by UC Davis Professor Emeritus Eric Conn, who had met Inoue at a research conference and became his mentor. 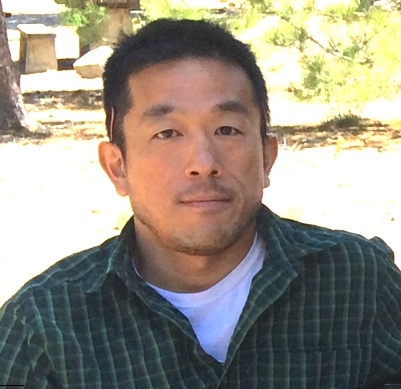 Inoue moved from the Noble Foundation to Michigan State University for more postdoctoral work before joining UC Davis.